Despite both having a "2" stuck at the end of their name, the iPad 2 and the iPad Mini 2 are two very different tablets. They are still iPads, of course, so they perform the same basic functions. But while the iPad Mini 2 still performs with style and grace, the iPad 2 slogs along like yesterday's technology trying to keep up with today's features. And for good reason. The iPad 2 is two-and-a-half years older than the iPad Mini 2, which in tablet terms is a very long time. The original iPad Mini debuted alongside the iPad 4 but used the same technology as the iPad 2. This allowed the first Mini to be originally priced at $329, which was quite a bargain compared to the $499 entry-level price of the full-sized iPad. The iPad Mini 2 was released alongside the iPad Air with a price tag of $399 and contains much of the same technology as its bigger brother. 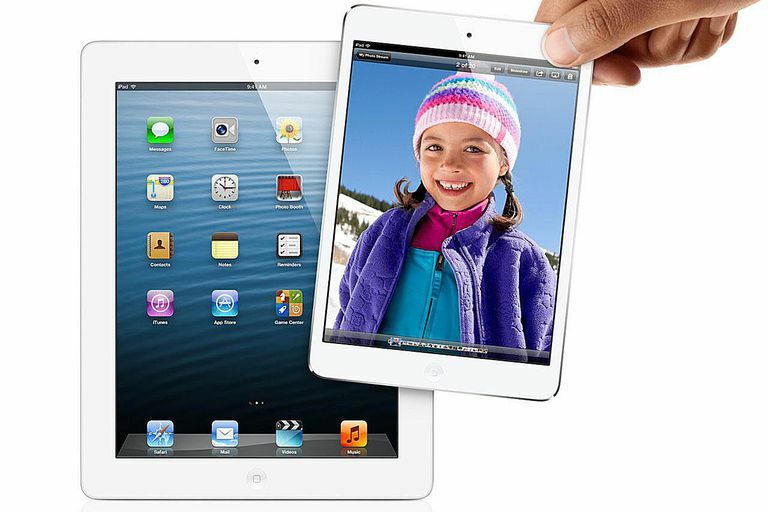 The Mini 2 is over six times faster than the iPad 2. The graphics processor is almost three times as fast, which is good because the iPad Mini 2 has a 2048x1536 "Retina Display" compared to the iPad 2's old 1024x768 display, so the graphics processor must do more work to run the higher quality screen. The iPad Mini 2 has double the random access memory (RAM) used for running applications and the 5 MP back-facing iSight camera on the Mini 2 is vastly superior to the 720p camera on the iPad 2. The only thing the iPad 2 has going for it compared to the Mini 2 is the larger screen, and that is only a benefit if you really want the 9.7-inch form factor. At 7.9-inches, the iPad Mini series is bigger than the 7-inch Android tablets. It is both big enough to operate with ease and small enough to hold in one hand while manipulating it with the other. Should You Just Skip on the iPad 2? Probably. But the one thing we haven't discussed here is the price. The iPad 2 is no longer in production, so the only way to buy one is through a friend or services like eBay or Craigslist. Both the iPad 2 and the iPad Mini 2 are still sold second-hand on eBay, with the iPad Mini 2 generally being more expensive. Even with the price differential, the iPad Mini 2 is the far better deal. The technology running the iPad 2 is considered outdated and the device is considered obsolete as Apple no longer supports operating system updates. That said, either of these devices can still make a good iPad for a child.